President of the National Academy of Recording Arts and Sciences Neil Portnow is now saying his words about female artists stepping up were taken out of context. 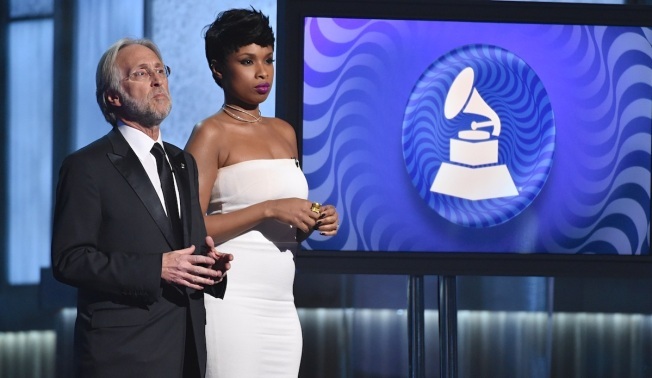 Recording Academy President Neil Portnow says his comments following the 60th annual Grammy Awards were taken out of context after he was criticized for saying women in the music industry need to "step up." Portnow, in a statement Tuesday, says he regrettably used the words "step up" and that they were taken out of context and neither convey his beliefs nor the point he was trying to make. The show ended Sunday with only two female winners onstage. Lorde, the only woman nominated for album of the year, didn't perform. "Our industry must recognize that women who dream of careers in music face barriers that men have never faced," Portnow said. "We must actively work to eliminate these barriers and encourage women to live their dreams and express their passion and creativity through music. We must welcome, mentor and empower them. Our community will be richer for it." His initial comments after Sunday's awards show in New York angered some female musicians who felt his statements put the responsibility on women. Pink, who performed on the Grammys, was nominated with three other women in the best pop solo performance category but lost to Ed Sheeran. She wrote on Twitter on Monday that "Women in music don't need to step up — Women have been stepping since the beginning of time." Katy Perry also chimed in on Twitter to say, "We ALL have a responsibility to call out the absurd lack of equality everywhere we see it. I'm proud of ALL the women making incredible art in the face of continual resistance."